Who is it for? 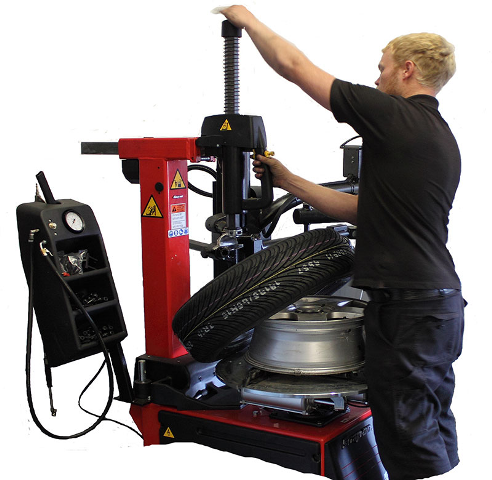 : This course ideally suited to those candidates that have very little experience in fitting and balancing tyres. Aim: A one-day training session that will give the candidates knowledge of how to check tyres confirm with laws regarding tyre wear, damage and misuse. They will also gain practical knowledge of how to replace a tyre, repair a puncture and balance a wheel. Objectives: Upon successful completion of all the elements of the training day the candidate will have demonstrated their competence at changing a tyre, replacing a valve repairing a puncture, identifying tyre information including sizes and speed ratings. Candidates will also learn how to balance wheels and tyers using a balancing machine. The courses will include the various techniques when dealing with steel and alloy wheels. Content: Training will be split between the classroom and the workshop. Balancing a steel and an alloy wheel using 'stick on' and 'knock on' wheel weights.